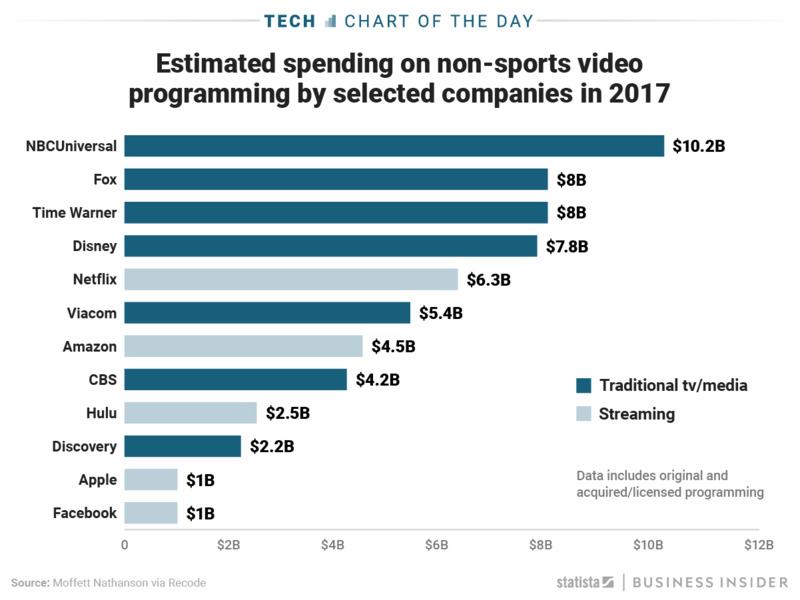 As the company has focused on improving its streaming offerings, it’s been spending increasing amounts on acquiring and producing content. In fact, Netflix’s content spending has gotten so huge, it’s now in the same ballpark as that of some of thetop entertainment companies, as this chart by Statista, which was compiled from a recent Recode report, shows. The list of top spenders on programming could see some major upheaval in coming years. Not only does Netflix plan to keep increasing its budget, but Amazon, Hulu, Apple,and others are all looking to beef up their video efforts.